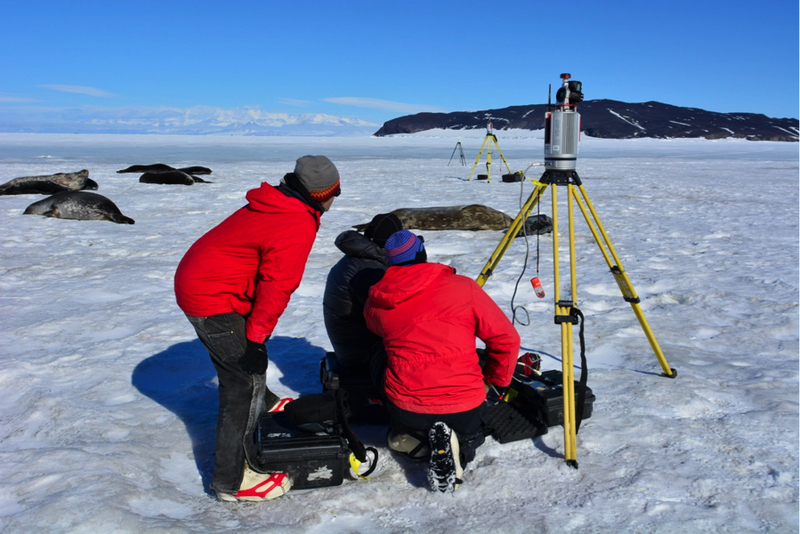 UNAVCO provided terrestrial laser scanning (TLS) support for seven projects in Antarctica during the 2013-2014 summer season. Here, polar engineer Brendan Hodge highlights three of them. 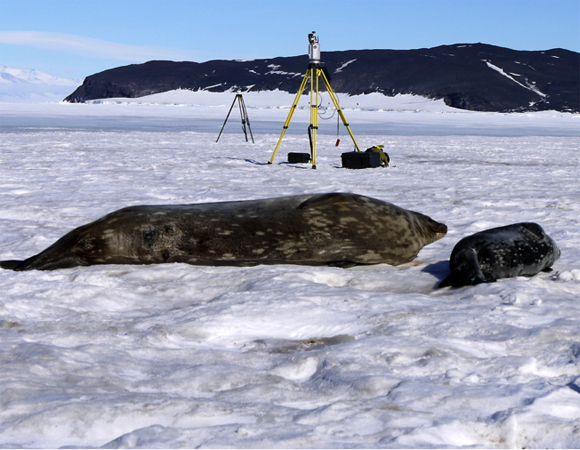 UNAVCO supported ongoing research of Weddell seal populations of McMurdo Sound with TLS data and engineering in November 2013. 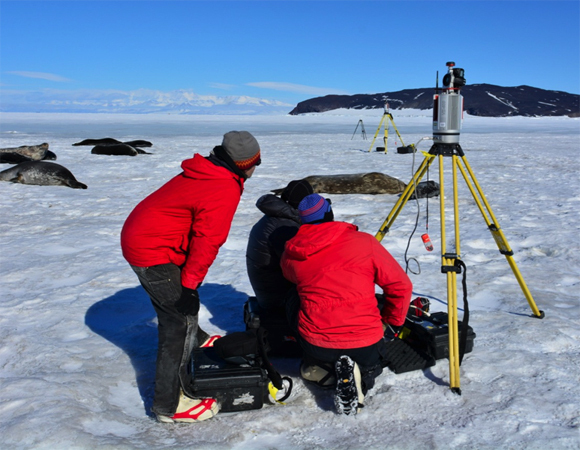 Two UNAVCO TLS instruments were used in unison to instantaneously collect a high-resolution scan of Weddell seals lying on sea ice. A novel methodology is being developed for efficient volume estimation of individual Weddell seals during the annual pupping season. In previous attempts, the movement of seals between repeat scans has limited the usefulness of LiDAR to accurately determine seal volume. 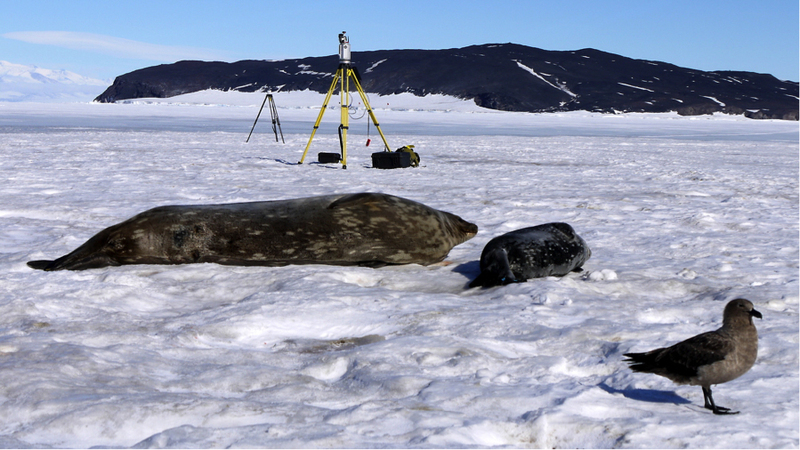 A proof-of-concept survey was attempted this season to capture a full-coverage seal scan by deploying two scanners in unison. The method is promising for estimating seal volumes more accurately and more quickly than traditional time-intensive survey methods, thereby increasing both the frequency and number of seal volume estimates. These mass measurements (derived from volume) are critical data for this population dynamic research on the Weddell seal, one of the longest running mammal population studies. 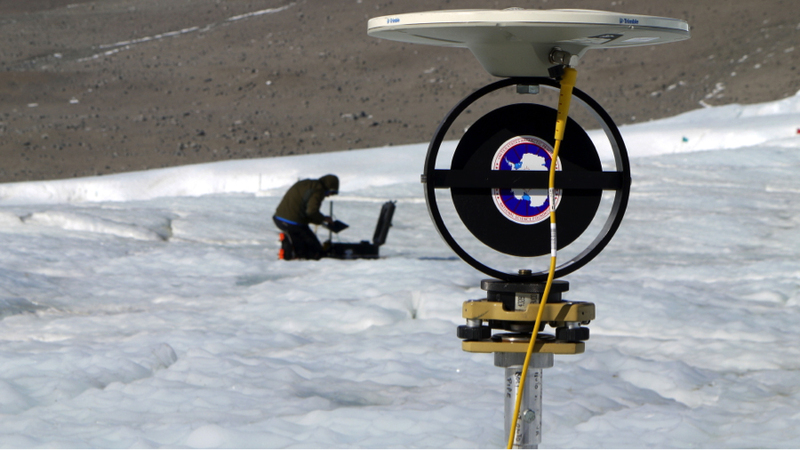 UNAVCO supported research on Erebus volcano during the 2013-14 Antarctic season with TLS and GPS equipment. 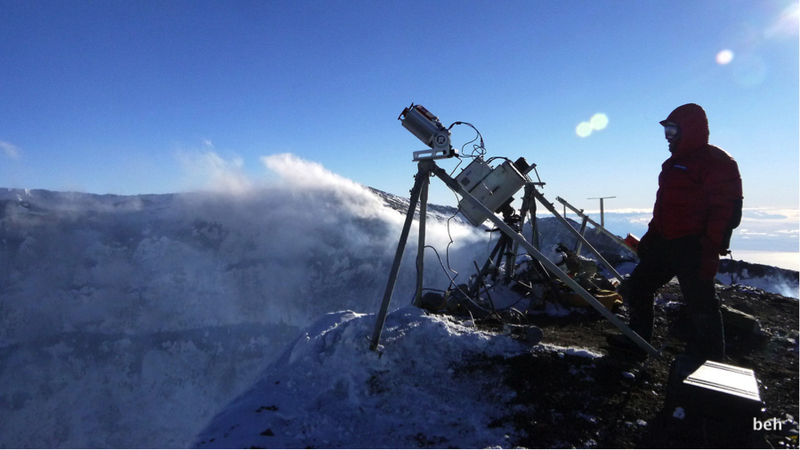 TLS instruments were used on the crater rim of Erebus to scan the active lava lake at the bottom of the crater. These LiDAR scans of lava lake level are used to map changes in the size and level of the lava lake and for correlating infrared and gas emission data with eruptive events and volatile flux. 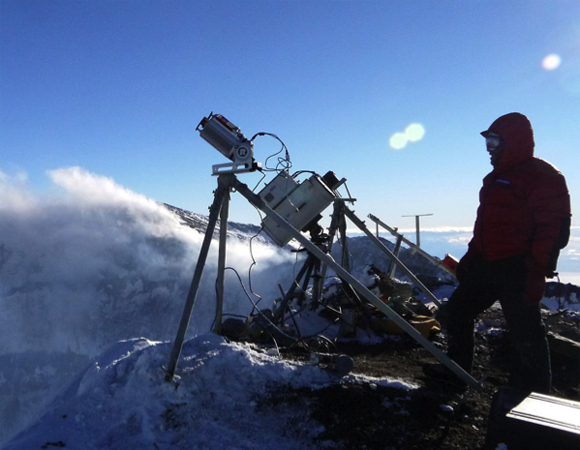 TLS instruments were also used to survey the interior of Erebus volcano's dynamic ice caves. Hot gases emitted from fumaroles on the flanks of the volcano melt the snow and ice cover to make these caves and distinct ice towers. The size and shape of the ice caves change from year to year and the LiDAR data is used to quantify these changes. 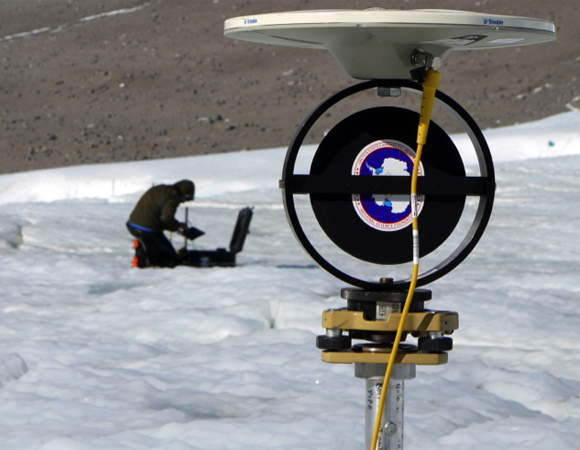 GPS equipment is used for geodetic control for gravity and magnetic surveys around Erebus. Surface deformation is monitored with a network of continuously operating GPS stations installed and maintained by UNAVCO, and by periodic campaign observations. Blood Falls is an unusual geologic feature at the toe of the Taylor Glacier in the McMurdo Dry Valleys. Blood Falls is characterized by a periodic release of subglacial brine that oxidizes on the ice surface to produce an orange-red icefall. 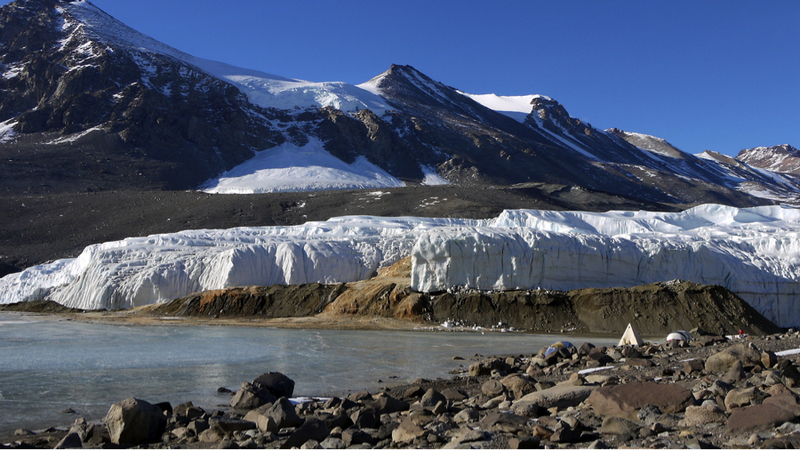 The brine also hosts a group of microorganisms, which lend insight into the origin of subglacial fluids and the environmental conditions that currently exist and which have existed in the past under the Taylor Glacier. A multi-year study of the biological, hydrologic, and geophysical properties at Blood Falls is underway to better understand the origin of this spectacular feature. UNAVCO supported this project with GPS equipment, TLS data, and engineering services for on-ice geophysical surveys led by the University of Alaska Fairbanks at the Blood Falls study site. A terrestrial LiDAR survey was conducted in order to create a digital terrain model of the glacier ice surface surrounding Blood Falls and to accurately define elevation profiles along ground penetrating radar survey lines. 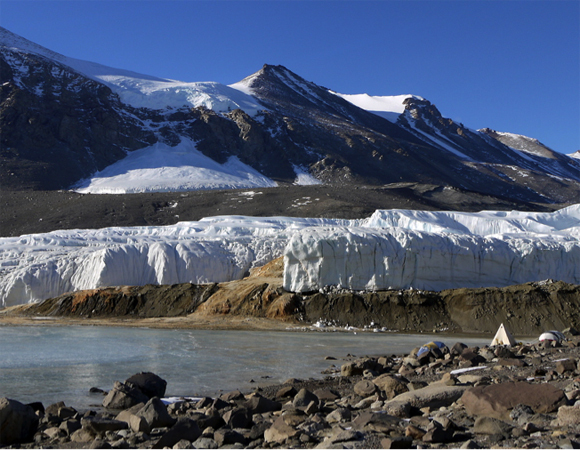 GPS surveys were conducted to accurately define the ice surface velocity and define the kinematic relationships between structural components at the toe of the Taylor Glacier. Also, listen to an interview with Dr. Mikucki on NPR's Science Friday.